News of his promotion to the role sparked outrage. Zimbabwean President Robert Mugabe addresses the 72nd United Nations General Assembly at U.N. headquarters in New York on Sept. 21, 2017. 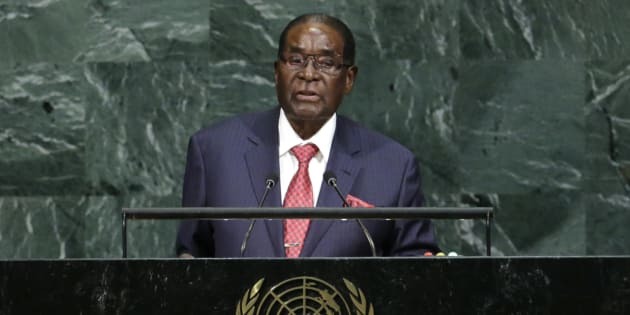 JOHANNESBURG — The head of the U.N. health agency has revoked his appointment of Zimbabwe's President Robert Mugabe as a "goodwill ambassador" after the choice drew widespread criticism. World Health Organization director-general Tedros Ghebreyesus last week told a conference in Uruguay on non-communicable diseases that Mugabe had agreed to be a "goodwill ambassador" on the issue. Tedros said in a statement Sunday that he had "reflected" over the past few days after flood of outrage and concern was voiced by international leaders and health experts on Mugabe's appointment. "As a result I have decided to rescind the appointment," he said in a statement. He said he revoked Mugabe's position in the best interests of the World Health Organization. Tedros also said he had consulted with the Zimbabwe government about his decision. The 93-year-old Mugabe, the world's oldest head of state, has long been criticized at home for going overseas for medical treatment as Zimbabwe's once-prosperous economy falls apart and the country's health care system deteriorates. Mugabe also faces U.S. sanctions over his government's human rights abuses.